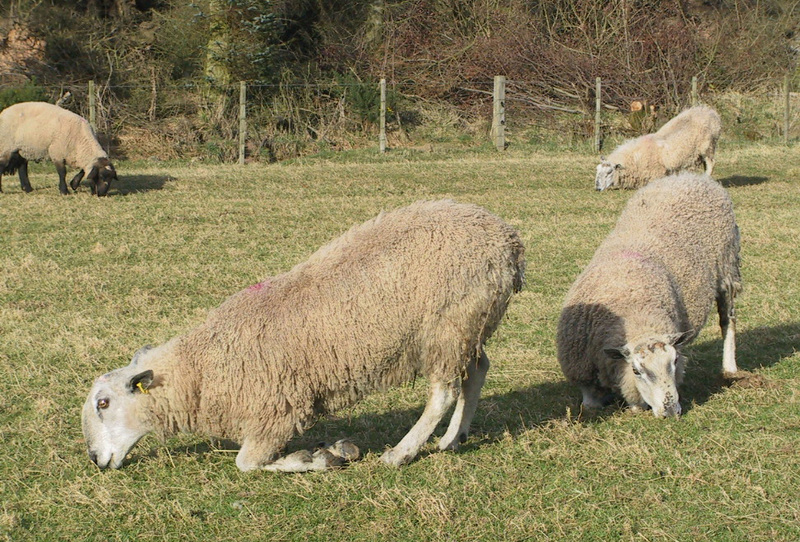 Most outbreaks of lameness in sheep are caused by either interdigital dermatitis (scald) or footrot; footrot is responsible for 90 per cent of sheep lameness. Interdigital dermatitis and footrot are caused by the bacterium Dichelobacter nodosus. The UK's temperate climate provides an ideal environment for transmission of the bacterium that causes footrot. The important risk factors for foot lameness are damage to the interdigital skin by exposure to moisture and mechanical trauma, and transmission of D. nodosus from infected sheep. Other risk factors include movement of sheep onto the farm without effective quarantine and perimeter fences that are not stock-proof. 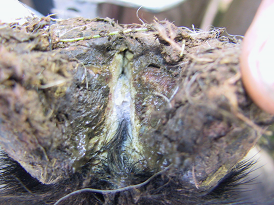 Interdigital dermatitis is the most common cause of lameness in lambs and occurs most commonly when underfoot conditions are wet often in late spring. At grass, the prevalence is much greater in lambs than in ewes, but interdigital dermatitis can become problematic in housed ewes, when straw bedding becomes wet and warm. The interdigital skin is red and swollen and covered by a thin layer of white exudate. There is no under-running of the hoof wall or sole. The diagnosis is confirmed by inspecting the sheep's feet after removing any contamination. 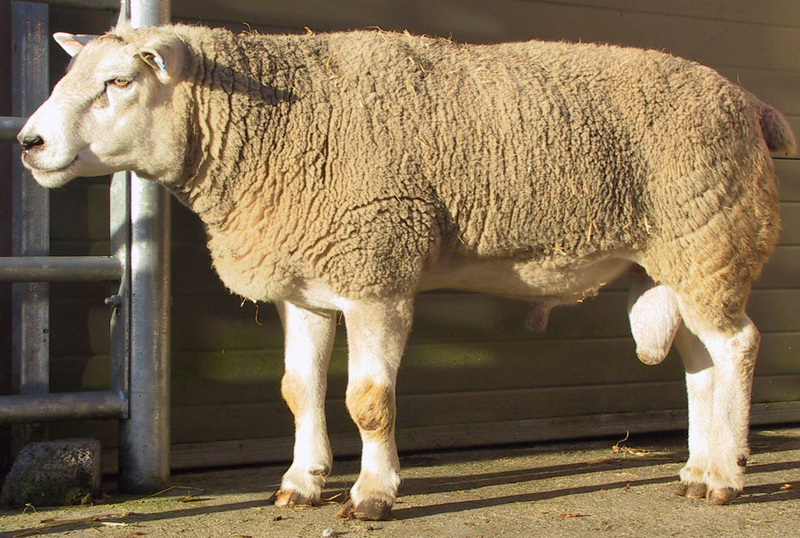 Interdigital dermatitis causes severe lameness which is a major welfare concern although sheep become sound 1-2 days after appropriate treatment. Individual cases of interdigital dermatitis can be treated topically using oxytetracycline aerosol sprays. When several animals are affected, treating all sheep in the group in a 10% zinc sulphate solution or 3% formalin in a footbath usually provides effective control. 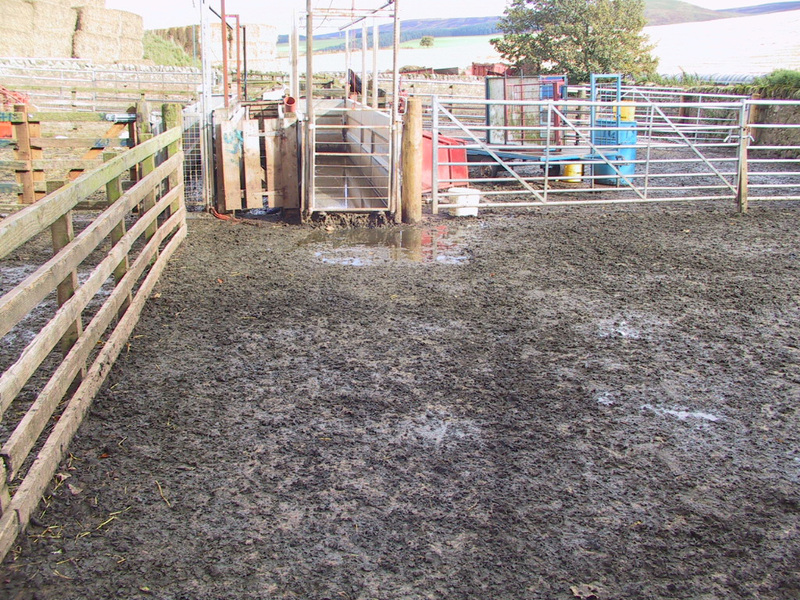 After footbathing sheep must stand in a dry area so that the formalin or zinc sulphate can dry on the feet - design of the handling facilities is essential. It is usually necessary to repeat the foot bathing at weekly or two weekly intervals throughout the risk period to prevent disease transmission and more lame sheep. No foot trimming is necessary for interdigital dermatitis. Footbathing is most successful in treating interdigital dermatitis in lambs and preventing footrot. There is no scientific evidence that any one type of footbath treatment formulation is more effective than another. At concentrations greater than 5%, formalin can cause severe irritation of the interdigital skin. The practice of regularly replenishing footbaths with a few splashes of concentrated formalin solution should be avoided. Footrot is an extremely painful disease and affected animals can lose weight rapidly. Sheep with footrot are very lame, remain recumbent for long periods and may not bear weight on the affected leg. 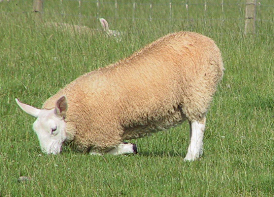 When both forelimbs are affected, sheep walk on their knees. There is swelling and moistening of the interdigital skin with infection spreading to separate the horn tissue of the sole from the corium and extend up the wall in neglected cases. There is a characteristic foul-smelling discharge. Footrot is caused by the bacterium Dichelobacter nodosus.